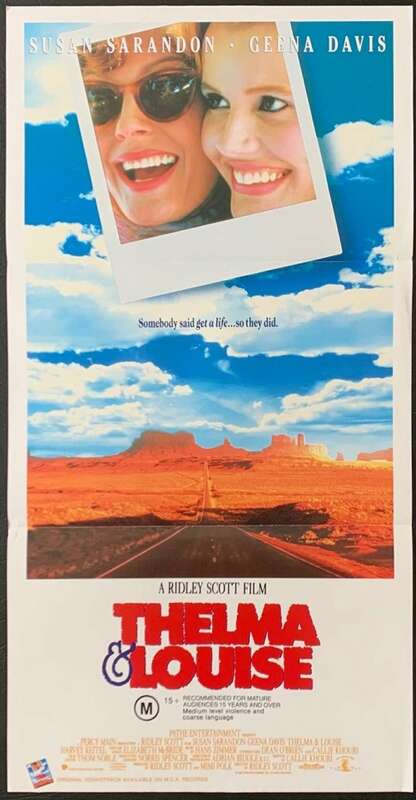 Original Australian Daybill movie poster.Thelma & Louise is a 1991 American road film directed by Ridley Scott and written by Callie Khouri. It stars Geena Davis as Thelma and Susan Sarandon as Louise, two friends who embark on a road trip with disastrous consequences. The supporting cast include Harvey Keitel, Michael Madsen, and Brad Pitt, whose career was launched by the film. 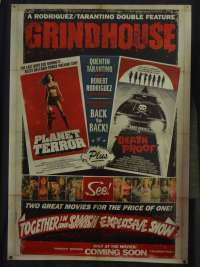 The film became a critical and commercial success, receiving six Academy Award nominations and winning one for Best Original Screenplay for Khouri. Scott was nominated for Best Director, and both Sarandon and Davis were nominated for Best Actress. It is now considered a classic, influenced other films and artistic works, and became a cult of feminism.